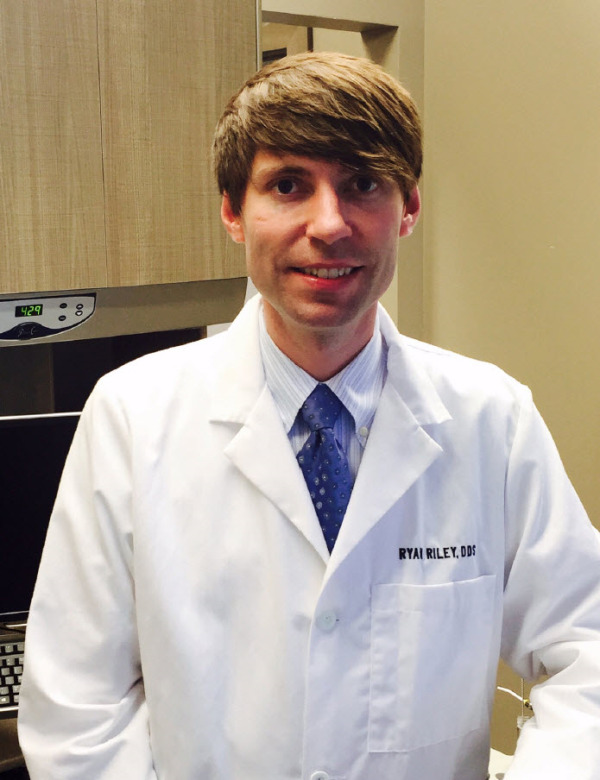 Dr. Ryan Riley was born in Creston, Iowa. Following high school, Dr. Riley graduated from Simpson College with honors in 2004. He then went on to attend the University of Iowa College of Dentistry where he obtained his Doctor of Dental Surgery Degree (DDS) in 2007. Upon completion of dental school, Dr. Riley moved to downtown Des Moines where he has enjoyed being part of the transformation of the urban environment. Dr. Riley formed Downtown Dental Care, PLLC in order to provide personalized and quality dental care in a comfortable downtown environment. The location is convenient to people who live and work downtown while being easily accessed from surrounding areas. Dr. Riley holds membership with the American Dental Society, the Iowa Dental Association and the Des Moines District Dental Society where he is a delegate to state meetings and severed as treasurer and secretary for several years. Dr. Riley is also an Adjunct Professor at the University of Iowa College of Dentistry for fourth year dental students. In an effort to serve the community, Dr. Riley is part of many local dental outreach groups including the Iowa Mission of Mercy (IMOM), I-Smile and Stand Down for Veterans. Dr. Riley has had the opportunity to partner with many local organizations to provide dental screenings. These groups include the Refugee Summit sponsored in part by the United Way and Free Medical Clinic hosted annually at the Epworth United Methodist Church. He has also given several presentations to many local groups in Des Moines providing dental education. He is also a participant in the Dental Lifeline Network providing free dental care to individuals in need. Dr. Riley is a member of the Christian Dental Society, where he visited Jamaica to provide dental care for the underserved on multiple occasions. Dr. Riley’s community Involvement includes being a past board member of HCI/VNS Care Services. He has also been on the leadership committee and a part of many outreach groups which includes serving meals at the homeless shelter through a local downtown church. Dr. Riley is also a member of the Policy Council of the Drake University Head Start. Dr. Riley lives in downtown Des Moines and enjoys many of the area’s offerings including the Farmer’s Market, Nightfall on the River, the Des Moines Symphony, the Willis Broadway Series and many of the great bicycle trails. Dr. Riley enjoys being a part of the vibrant downtown area.